All the videos of the school are available on the Youtube channel of University of Insubria. The videos of the conference will be available soon. To download the PDF version of the schedule, click here. For the detailed version of the programme, click here. To download the book of abstracts, click here. 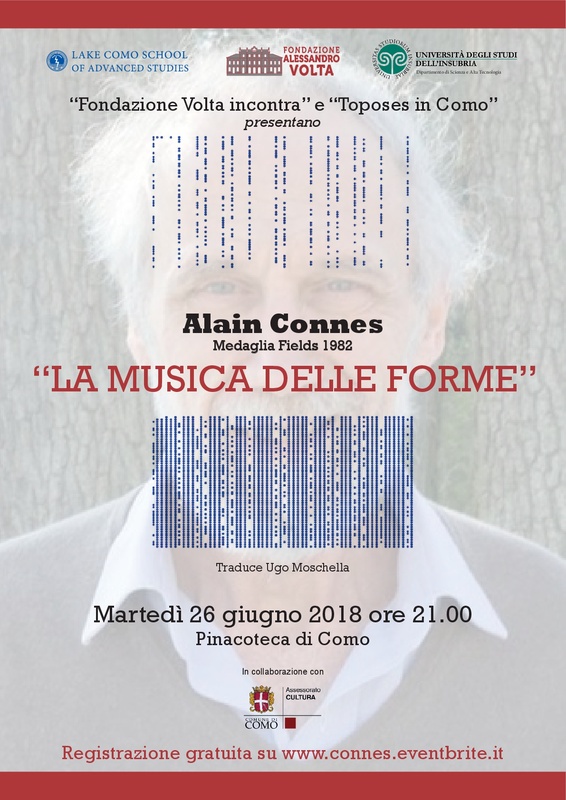 On June 26th, 2018 at 21.00, “LA MUSICA DELLE FORME”, a PUBLIC LECTURE by Alain Connes, will be held at Pinacoteca di Como. The lecture will be in French with simultaneous Italian translation.